Hundreds of laborers wearing bright orange shirts fill the auditorium and lobby at the middle school. 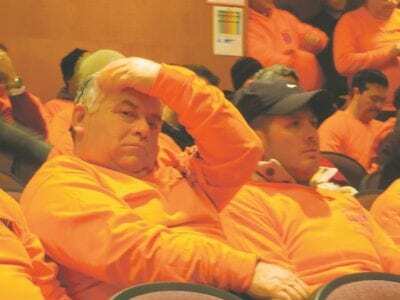 Despite hundreds of local protesters fearing the worst should the Spectra Energy Plan to expand its transmission system with the Atlantic Bridge Pro… Please login below or purchase a subscription to the Putnam County Courier to access this content. A Carmel man is lucky to be alive after falling 50 feet from a tree being pruned. Daniel Smith, 51, was airlifted by a medivac helicopter to the Westchester Medical Center late Thursday afternoon and was admitted. The Putnam 9-1-1 Center received a … Please login below or purchase a subscription to the Putnam County Courier to access this content. 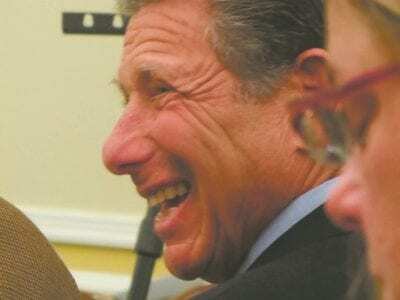 Developer Harold Lepler smiles during discussion at last week’s hearing. Greater Brewster is divided over the Crossroads 312 project. JPH Development Corporation hopes to erect a four story, 100 room hotel plus four small box retail stores cont… Please login below or purchase a subscription to the Putnam County Courier to access this content. It was a week of incredible developments in Albany politics, and by Tuesday evening, Assembly Speaker Sheldon Silver had agreed to step down. He had been arrested Thursday for his alleged engagement in a scheme to defraud the public and use his powe… Please login below or purchase a subscription to the Putnam County Courier to access this content. 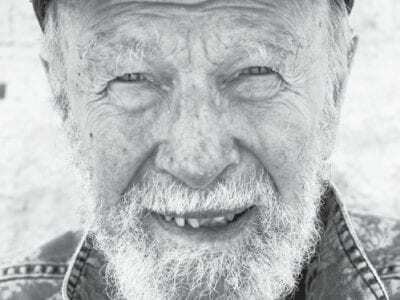 A year after his death, legendary folk artist and Hudson River advocate Pete Seeger is remembered. Pete Seeger, whose music and politics shaped generations of folk singers and activism in the Hudson Valley, died a year ago Tuesday. Hudson River Sloop… Please login below or purchase a subscription to the Putnam County Courier to access this content. Science, technology, engineering and math can be fun especially when discovering together as a family. 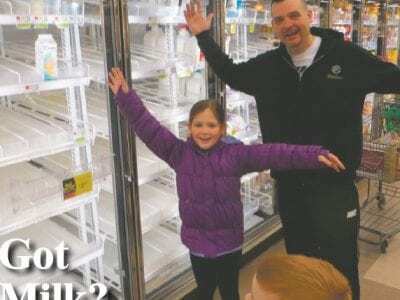 Putnam County Cornell Cooperative Extension is offering a unique opportunity for a fun-filled day next Sunday, Feb. 8, when a Family Fun Day takes… Please login below or purchase a subscription to the Putnam County Courier to access this content.